Swollen tonsils (tonsillitis) can have a negative effect on your body, causing fever, headache, throat pain and even obstructive sleep apnea. Being very uncomfortable and painful, you will want to treat tonsillitis as soon as possible. Luckily, natural remedies can be useful in your journey to healing. Unfortunately, chronic enlarged tonsils can take much more time to heal with natural remedies. The best way to avoid these complications is to treat the swollen tonsils as soon as possible. Your doctor has effective ways to treat you (penicillin is one way), and you should see him when you feel mild throat pain and fever. However, if for some reason, you are not able to get conventional treatment, don't panic. This article will teach you all you need to know about alternative ways to treat the enlarged tonsils. Why Do I Have Swollen Tonsils? Your tonsils and adenoids are designed by nature to act as filters for bacteria, viruses, and toxins. They’re also sensitive indicators for your body health. So if you have some bacteria or toxins in your body, the tonsils may become enlarged and infected. Tonsillitis is caused by a bacteria (usually streptococcus pyogenes). Sometimes, a throat culture or throat swab is necessary to properly diagnose it. Your doctor takes this decision. Different bacteria causes different grades of severity with different ways of treatment. The toxins that cause the tonsils to swollen come usually from improper diet, and poor liver, kidney, bowel or stomach function. The dairy foods (such as cheese and milk) and grainy foods (bread) can cause a high acidity and toxicity in the body. If these toxins are not properly eliminated by an healthy digestive system backed up by cleansing elements from the green vegetables, the body’s vitality become weak and unable to defend. How Milk Can Hurt Your Body? Food allergy may cause the tonsils to swollen, especially if the food is milk or wheat. If you take even a small amount of these foods, your tonsils can get enlarged and you start to suffer from them. Eating wheat that contains gluten can cause the tonsils and adenoids to enlarge. This gluten causes intestinal irritation and loss of small villi, which are vital for proper nutrient absorption. It’s no wonder that a diet without dairy products and gluten is the first course of natural remedy. Why Constipation Can Be a Signal For Tonsillitis? Without the ability to eliminate the toxins, your body will have serious health problems, including swollen tonsils and adenoids. It's always recommended to follow a diet that contains only fruits and fruit-juice, especially if the person who has tonsillitis is a child. If the throat is so painful that no solid food can enter, you could try fruit-juice fasting until you can start to eat to fruits. Usually, 7 days of fruit and juice diet should be enough to treat tonsillitis. Eat only one type of fruit every one or two hours. Even better, alternate one fruit and one fruit juice every hour. This will help your body to eliminate the toxins and also improve your immunity system. Avoid banana, which is considered too starchy for a cleansing diet. With this fruit diet, it's also recommended to do an enema nightly(5). However, I believe you need some education in this type of cleansing. There are some side effects if you don't know how to do it. This diet is very helpful for the conditions that causes excess of mucus (colds, ear infections, asthma, pneumonia, bronchitis), including tonsillitis. During the 7 days of fruit diet mentioned above, you can alternate it with the mucus cleansing diet (3 to 5 days). Consume only grapefruit. If not available, use oranges. Eat a plate of steamed onions. Add natural soys sauce for flavor. A large plate of steamed onions, same as lunch. Drink a portion of fresh carrot juice. Sage (Salvia officinalis), Hyssop, Thyme, Camomile, Calendula. Sage is the main herb for gargle than can alleviate sore throat and large tonsils. Pour a cup of boiling water over 2 teaspoons of sage leaves and let it sit for 15 or 20 minutes. Then add a little salt. Gargle as needed. Many of the drugs used in modern medicine are extracted from plants. However, some herbal products can be very toxic (Comfrey), so it's important to discuss with the herbalist what are the side effects of the herbs that you're using. Because enlarged tonsils mostly appear due to the response of the immune system to bacteria and viruses, it is important to strengthen the immune system. Children may be helped by taking multivitamin and mineral supplement, thus increasing the nutrient levels. A clinical study revealed that patients with enlarged tonsils had low levels of vitamins B1, B2 and C. Read the study here. Doses for Vitamin C and bioflavonoids: 250 to 500 mg chewable six time per day. Doses for Vitamin B complex: 25 to 50 mg three times daily. Another study found that vitamin D is also low in children with swollen tonsils and OSA. Read more about the study here. Vitamin E can also protect the body against infection. 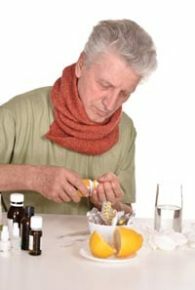 Consult your doctor before trying zinc or vitamin C with antibiotics. Minerals, such as zinc, selenium and magnesium also have low levels in patients with recurring tonsillitis. More info about the study here. Raw Manuka Honey with Onion - slice a large onion in thiny pieces, place in a bowl and cover it with 1 or 2 tbsp of manuka honey. Cover the content and let it soak for almost 8 hours. Mash, strain and then take 1 tsp four to eight times per day. Cold fruit drinks may help with sore throat pain. During sleep, your body muscles relaxes, including those from your throat. This can cause obstructive sleep apnea in people with severe tonsillitis. 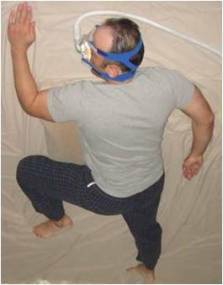 For right sleeping position: The face should be on the upper-right edge of the pillow. The pillow should be angled at about 30 degrees, so the left edge of the pillow would be under the left shoulder and left torso. For the left sleeping position, you just have to make everything in the opposite way. To increase the comfort, use also a pillow under the right half of your chest and abdomen (if you sleep on the right), or under the left half of your chest and abdomen, if you sleep on the left position. For more info about benefits sleeping on the side, see Positional Therapy. Gargling: before sleep, gargling your mouth with warm salty water will clean the mucus from your mouth necessary for easy breathing during sleep. 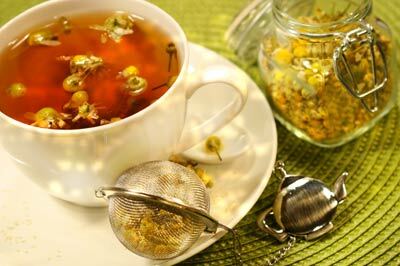 Moreover, a paracetamol and warm camomile tea will ease the headaches that may appear while sleeping. How To Prevent Enlarged Tonsils? Swollen tonsils is very common in children, because their tonsils become exposed for the first time to many infections. 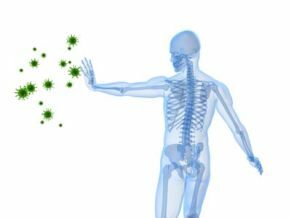 The adenoids and tonsils are part of the immune system whose main purpose is to protect the body against bacteria and viruses. Because children are exposed to many new bacteriological agents, the immune system starts to react, thus the glands, lymph nodes, tonsils or adenoids can swollen. Tonsillitis is caused by a streptococcal bacteria called Streptococcus pyogenes or Staphylococcus aureus. The doctor can discover this bacteria by sending a throat culture (passing a cotton swab across the tonsils) to a laboratory. A blood test may also be done to check if the person with swollen tonsils has kissing disease (glandular fever or mononucleosis) which also causes the tonsils to be enlarged. Permanent or recurrent enlarged tonsils can be due to an allergy, mostly from mould or dust mite from the house. Children are mostly affected by them. Clinical studies found that tonsillitis is also caused by having sensibility or intolerance to dairy products, such as yogurt, milk, cheese or ice cream. Once discovered, the food problems can be eliminated, avoiding the recurrence of swollen tonsils. 1. First aid pediatric boards. 5. Better Health Through Natural Healing: How to get well without drugs or surgery, by Ross Trattler N.D. D.O.